With the kind invite from the people at Park Hotel Group, I went down to Park Palace at Grand Park City Hall for a magnificent Lunar New Year feast. 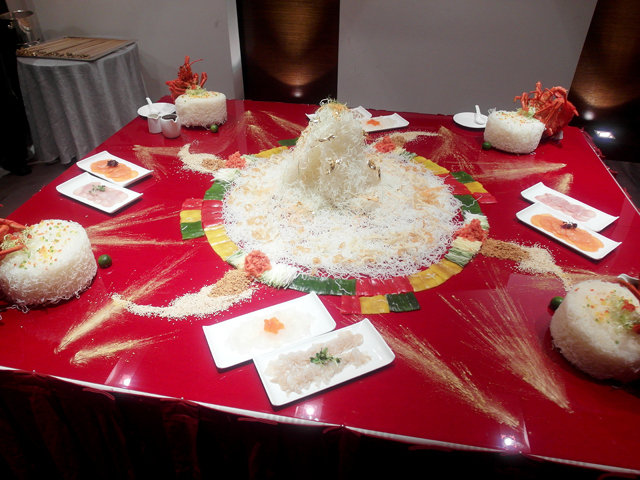 As with all Lunar New Year reunions, it is started with Yu Sheng. 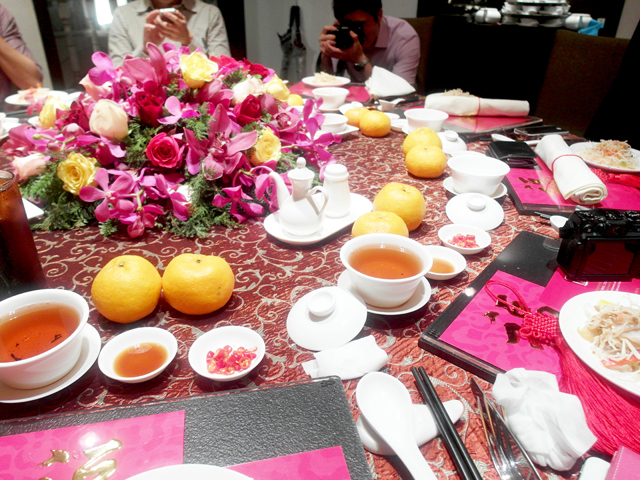 This spread on the table is the Imperial Five Treasures Golden Shunde Yu Sheng ($888++). 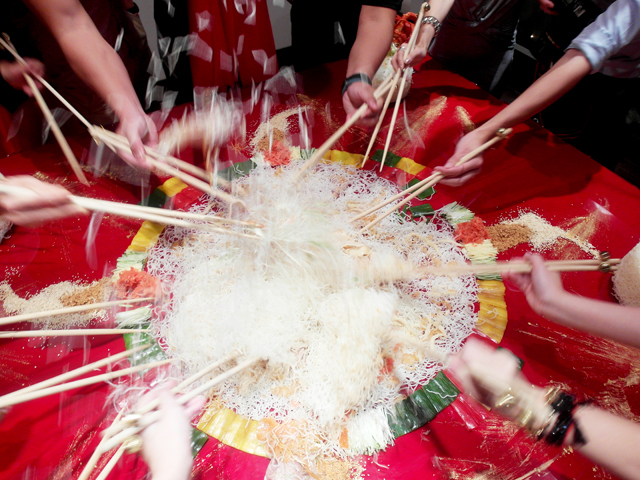 Exquisitely designed, this luxurious Yusheng is the ultimate culinary indulgence, boasting of five prized treasures of the sea - Abalone, Lobster, Geoduck Clam, Salmon and Hamachi, topped with Caviar and Fish Roe. All the goodies! Instead of the traditional salad of radish and carrots, crispy fried vermicelli is the centerpiece. Unlike the usual sweet taste that Yusheng commonly served in Singapore have, this one is more savoury, and one can definitely eat more than a share. Oh ya, this is topped with some gold flakes. Eat Gold, Get Rich! Toss high for good fortune and abundance in the upcoming year! Our tables were decorated prettily! 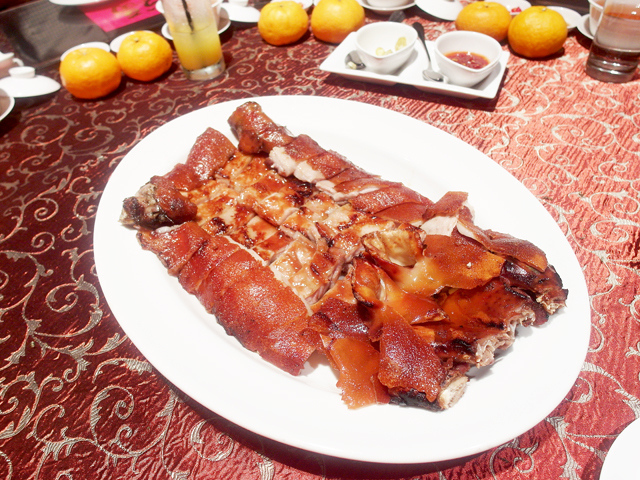 I loveeeeeeeeeeeeeeeeee the Imperial Whole Roasted Suckling Pig! For everyone on my table, it's definitely one of the favorite items that night! For me, the best item was the Double-boiled Pot of Fortune with Superior Shark's Fin, Chicken and Wanton. The soup is very tasty, and not like the usual shark fin soup. The goodies inside each bowl is abundant as well. One good thing comes after another! 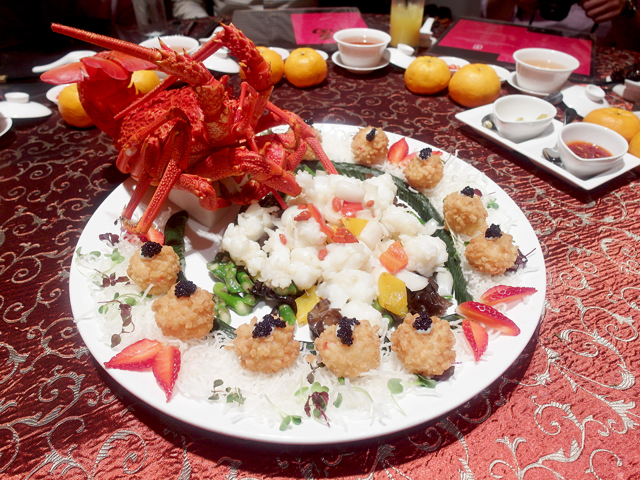 The Auspicious Lobster Gems in Dual Style features lobster meat cooked in two different ways. The fried one is Lobster Balls with Cheese, while the other is Live Lobster sauteed with Lily Bulbs, Wood Fungus & Asparagus. I like the latter very much, while some others raved about the fried balls. 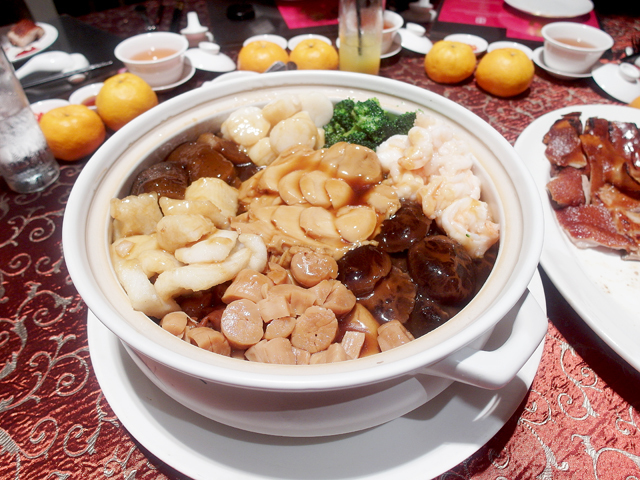 Besides, it's a very beautiful plated dish perfect for Lunar New Year reunion dinner! Fortune-filled Reunion Pen Cai with Pig Trotters! 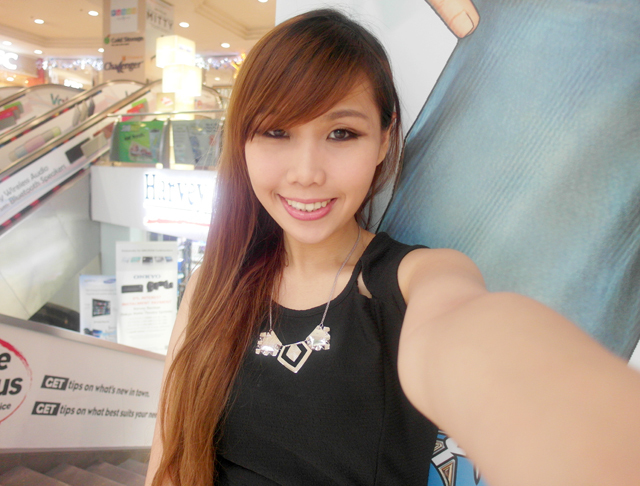 Wah this one, full of good stuffs! Definitely everyone on the table will nod in agreement! 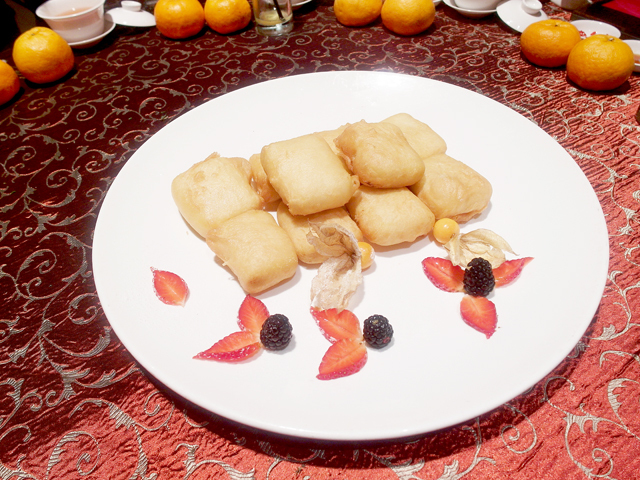 The dessert was one that everyone was looking forward to, definitely for durian lovers - Golden Ingots of Good Fortune. It is actually Crispy Fritters with Durian Puree inside. This one garners a thumbs up from me! These are all the highlights of the dishes served during the Lunar New Year period. If you are looking for a place to book your Lunar New Year reunion dinner, wait no longer because the date is coming soon! 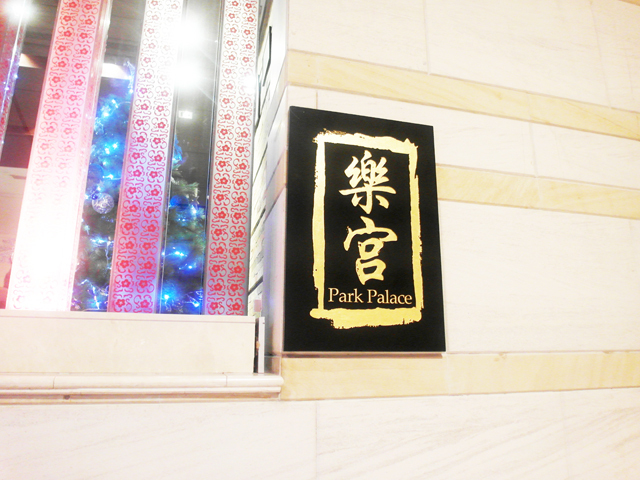 I do think that the food served at Park Palace is of good quality and that's what everyone expects for a Lunar reunion dinner! I would recommend this place to people around me, and the sumptuous meal has left a wonderful impression till now. I believe that your family will remember a delicious feast for years to come! 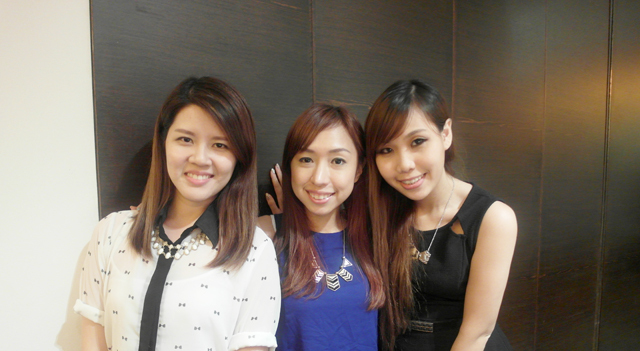 Just realize that three of us were wearing necklaces! Mine is from HURS! It's one of the rare silver ones in my collection and I have been wearing it quite often because it is very versatile and easy to match! (Merry Christmas) and a HAPPY NEW YEAR!! !